80 Plus Power Supply - What is It and Does Your PC Need One? 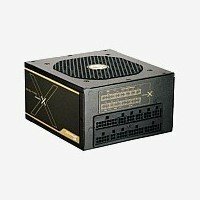 What is a 80 plus power supply and should you get one for your computer? Get the full answers here with our complete power supply efficiency guide. What is a 80 Plus Certified Power Supply? A 80 Plus power supply is one that has been tested and certified by Ecova to be least 80% energy efficient. How do computer power supplies earn their 80 Plus certification? Power supply manufacturers (e.g. Antec, Coolermaster, Corsair, Seasonic) send samples of their power supplies to Ecova for testing. Ecova charges the manufacturers a fee for this testing and certification process. Ecova will test the power supplies at 20%, 50% and 100% load. For a 1,000 watt power supply unit, this means drawing 200, 500 and 1,000 watts of power from it and measuring its efficiency at these three levels. If the test unit is able to achieve a power supply efficiency of at least 80% at all three load levels, then it is certified as 80 Plus. Depending on its overall efficiency, Ecova will award it with a 80 Plus standard, bronze, silver, gold or platinum certification. Ecova has a separate set of criteria and ratings for redundant (enterprise) power supplies, but we're leaving them out of this discussion since it doesn't apply to consumers in general. A 80 Plus power supply may cost more than a generic unit, but it's going to pay for itself in term of power cost savings. To illustrate our point, let's take a look at this example: Suppose we have two different power supply units: a generic unit with 70% efficiency and a 80 Plus Gold unit with 90% efficiency. If you install them in a computer that draws 200 watts of power, the generic unit will pull 286 watts from the wall socket (the additional 86 watts are wasted as heat). The 80 Gold Plus unit will just pull 222 watts, resulting in a power savings of 64 watts. High quality power supplies are expected to last for at least 3 years, so that's more than $175 in savings over its lifespan. As we already know, efficient power supplies generate less heat. Since the power supply fan doesn't have to spin as fast to keep temperatures low, it ends up producing less noise as well. Since 80 Plus power supplies require higher quality components and more sophisticated manufacturing, they tend to have better build qualities than low efficiency power supplies. Having passed 80 Plus testing also indicates that the power supply was able to deliver its full rated wattage, which is another quality indicator. "Should I splurge on a 80 Plus Platinum power supply or is 80 Plus good enough?" The answer will depend on your power usage pattern. The more power-hungry your computer is and the longer you leave it running, the higher your power supply efficiency should be. For example, a 100 watt family computer that is used for four hours daily will do just fine with a 80 Plus power supply... while a 1,000 watt server running 24/7 should be paired with a 80 Plus Gold or Platinum unit for maximum cost savings. Only one power supply sample is being tested, and the manufacturer gets to select that sample unit. A fairer method would be to test multiple random units taken off retail shelves instead of a single unit picked by the manufacturer. 80 Plus testing is carried out at 23 °C (73.4 °F). This is unrealistic since the temperature inside most computers hover between 40 to 50 °C (104 to 122 °F). This matters because power supply efficiency tends to increase at lower temperatures, resulting in artificially higher efficiency percentages during 80 Plus testing. Some dishonest manufacturers have been caught labeling their power supplies as 80 Plus even though they were not tested and certified by Ecova. HardwareSecrets ran an article that exposed several power supplies with fake 80 Plus badges. Fortunately this last issue can be easily resolved - Before buying a 80 Plus power supply, make sure that it is listed on the official 80 Plus website.